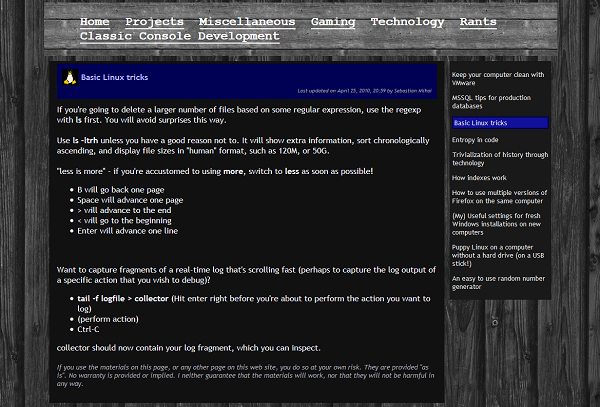 After a few years of the old web site, I decided I could improve the markup, and make it more standards compliant. As far as layout goes, there are still similarities to the previous version. In the spirit of the web site, I decided to share the template I created. It's based on two columns, with a third panel at the top, for section selection. Both HTML (HTML 4.01 Strict) and CSS validate with no errors using the W3C Validator . This means that it probably is a good starting point for someone looking to build their web site from scratch (which I personally prefer).